Is your Fox Trotter going in and out of his foxtrot gait, sometimes hard trotting or going into a lateral gait? Maybe he is even going into that bone-jarring hard pace. Well then, it’s time for a foxtrot tune-up. Trainers Julie Moore, Junior Combs, and Charles Lindsay have some tips for you. Start at “Slow”: Julie Moore, Rogersville, Missouri. Moore believes in starting out at a walk, especially if your horse is coming off not being ridden for a while. Then gradually increase the speed about 10 minutes daily. If you want to develop a nice four-beat flat-foot walk, increase the speed gradually. As the flat-foot walk develops, push just a little more, and your horse should roll into a foxtrot. Always ask for a slow walk going downhill. It’s unsafe and many Fox Trotters will pace going downhill at an extended gait. Junior Combs demonstrates using poles in training. Photo by Josephine Styron. Use Poles to Develop the Foxtrot: Junior Combs, Spokane, Missouri. You can initially try to get your horse to foxtrot by riding him through tall grass or on soft ground, or by riding him up and down hills. If these don’t work, you can try using poles. Your horse will have to step over the poles, which encourages him to break into a trot, leading eventually to a foxtrot. You can use any type of pole. Start at the walk and work up to the trot. Lay the poles approximately three large steps apart. You may have to adjust this to suit your horse. You can lay your poles outside your training arena. When your horse starts trotting, you can take him into the training arena and make him trot there. If he quits trotting, take him back out of the arena and over the poles again. 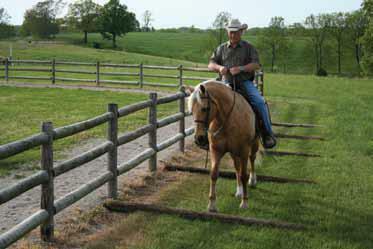 Ride your horse over the poles with a loose rein so he can look at the poles to adjust his trot over them. Once he holds the trot, work on setting his head and easing into the foxtrot. 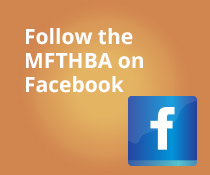 Going from a Lateral Gait to the Diagonal Gait: Charles Lindsay, Marshfield, Missouri. First, be sure you can identify from the saddle what the foxtrot gait feels like, so you’ll know if your horse is in it. Riding on a surface that lets you hear the horse’s footfalls may help you identify his gait. Then make sure you are in control, so that your horse gives you his total attention. Check the horse’s bitting. If the horse is constantly mouthing his bit, change it. Experiment with different bits to find the bit that works the best for your horse. Once he quits playing with the bit, he may be able to better focus his attention on what you are asking him to do. Getting a more appropriate bit for your horse may also solve another problem: your horse looks around at things, rather than straight ahead. Once he is not playing with his bit and looking side to side, it’s easier for the rider to ask the horse to flex at the poll and flatten his face. This encourages him to look straight ahead, which increases his attention on you. In addition, once his mouth is calm, he will be more responsive to the pressure from your fingers. When you begin asking him to change his gait, having a softer mouth will make it easier. Check your horse’s shoes. If he is shod unevenly, it will be harder for your horse to gait correctly. Also, check to see if your horse’s shoes fit his feet and enable him to travel like he is supposed to. 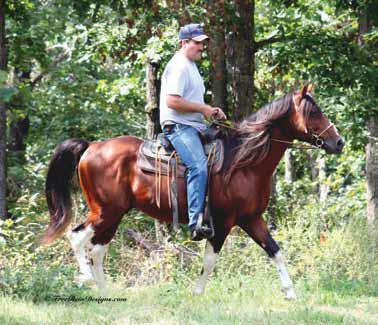 For example, shoes that encourage your horse to move with his back feet farther apart may benefit a cow-hocked horse. Ask him to gait correctly. If your horse begins to move his feet laterally or pace, slow him way down and ask for a diagonal gait. Don’t let him speed up until he can give it to you. If you are consistent in asking for the diagonal gait, and letting him move a little faster when he gives it, the horse will begin to figure out what you are wanting. In time, he will develop muscle memory for the diagonal, rather than the lateral, gait. Be consistent and communicate. Your horse is looking for you to tell him what to do, so be sure you communicate to your horse exactly what you want, such as a diagonal gait, and be consistent in the way you ask for it. You should ask for something the same way, every time. It takes time, especially if he is older, for your horse to give you a gait that satisfies you. Using one, or a combination, of these techniques may help you turn your horse’s bad gait into a better one.